The Philippines celebrates the Christmas season the longest in the world – as early as September up until early January. For Filipinos, it is a season marked by homecomings and family reunions. This time of year becomes especially precious in a country where many parents are forced to leave their families for overseas employment. As 2015 closed and the New Year approached, McDonald’s Philippines launched a timely tribute to parents. The film, created by Leo Burnett Manila, showcases bittersweet everyday moments between children and parents. The soundtrack resurrects a local hit song “Handog (Offering)” by Filipino music icon Florante in the 70s. The song was originally penned as a singer’s tribute to his fans for their love and devotion, alongside the wish for them to be together longer, even with the certainty of time passing by. The McDonald’s film provides a new poignant perspective by having children singing the song to their parents in the soundtrack. “McDonald’s has grown with Filipino families through the years. The brand has been their consistent partner through various life stages. And there is nothing more important to us than helping parents bond with their children in a family-centric society like the Philippines,” remarked Margot Torres, Deputy Managing Director and Executive Vice-President. The film has garnered over 8 million views after a few days in McDonald’s social channels including Facebook and YouTube. Simultaneously, it is airing in major TV networks. Thousands have responded with tributes to their own parents through online comments. Young parents in turn have been affirming their love to their children, spurred by the emotions elicited by the film. “It’s gratifying to see how meaningful this has become for Filipino families with the overwhelming positive response from consumers. This inspires us to do greater things for them with the brand,” Christina Lao, Marketing Director, added. 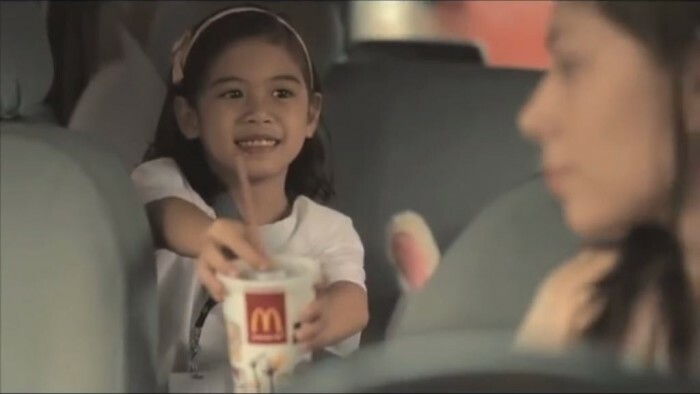 McDonald’s is no stranger to memorable and effective family-oriented advertising in the Philippines. In 2010, it was awarded Ad of the Decade by the Creative Guild of the Philippines for its thematic “Lolo (Grandfather)” TVC which depicted a tender moment between a grandfather with feeble memory and his teenage granddaughter inside a McDonald’s store. Hanming Huang named managing director of South Asia and Greater China to provide strategic direction and drive growth of Criteo’s ..
"38% of total urban Malaysians watched online video clips, where 4 out of 10 agreed that watching online video content have reduce.. The agency is now responsible for global experience duties, customising digital content across 120 countries and delivering releva..